After my server team (yes, I have a server team, don’t laugh at me) stood up two brand new shiny VMs, and we installed SharePoint Server 2016 with a MinRole architecture (blog on that adventure coming soon), I was testing out various features to ensure that everything was working correctly. I ran into two speed bumps with SharePoint Designer 2013 that I thought prudent to share. If anything, I can refer to this later if I run into the same problem again. I haven’t connected my new farm to our Workflow Manager server yet, but I wanted to make sure that OOB SharePoint 2010 workflow works successfully. I launch SharePoint Designer 2013. I click on Workflows and because I previously enabled the Workflow feature in Site Collection Features I see the existing out of the box SharePoint workflows. I click List Workflow and select my document library. The wizard pops up to create new workflow. I give it a name and click OK. No error pops up but nothing happens. It does not create the new workflow. I log onto my computer with a different account and launch SP Designer and I can edit a workflow with no problem. Ok so either my permissions are wacked or my profile is messed up. My account is a Site Collection Admin so I doubt that it’s a permissions problem. A quick search on the internet and after trying a few solutions that didn’t work I stumbled on this blog post by Bharath Kumar Arja. I then launched SP Designer again and when I clicked on the workflow I got the usual message that it’s downloading data from the server. And the workflow opened! And I can create a new workflow! Yay! I logged onto my computer with a different account to test something in SharePoint Designer. I am logged on with a user that is a Site Collection Admin so I know that they have the permissions necessary to open a site. I launch SharePoint Designer 2013 and click Open Site. And boom! SharePoint Designer crashes. I try again and it crashes. Open the registry (don’t try this at home kids if you don’t know what you’re doing). Navigate to HKEY_CURRENT_USER\Software\Microsoft\Office\14.0\Common\OpenFind\Microsoft SharePoint Designer\Settings\OpenSite and note the value of ClientGUID. Now Navigate to HKEY_CURRENT_USER\Software\Microsoft\Office\15.0\Common\OpenFind\Microsoft SharePoint Designer\Settings\OpenSite and look at the value of ClientGUID. Are the values the same? If yes, delete both ClientGUID entries and re-launch SharePoint Designer. Voila! Problem solved. You should now be able to open a site without SP Designer crashing. So With my new role of SharePoint Administrator, I hope to do the following… inspire and empower my end users with SharePoint best practices and useful real-world tips that will help them harness their digital content, organize it in an easy to find and easy to use way. What better way to gather ideas for this journey than to go to a conference filled with subject matter experts conducting informative sessions and vendors with ground shaking apps? SharePoint Fest here I come! The annual series SharePoint Fest is now in its 8th year running. There are three locations this year, Washington DC, Chicago and Seattle. I live in the beautiful Pacific NorthWest so Seattle will be the location that I attend. With hotel prices (even with conference pricing) starting at $289/night and a family at home, I decided to commute to it every day. Ugh. Yay! Ugh. Heh. There are several different passes available. There are two days of just workshops followed by the three days of keynotes, sessions and vendor fair. You can choose to attend several combinations of days. I choose all five fun-filled days of SharePoint. Immersing my entire week in SharePoint goodness sounded like the best option being that it’s my first year as a full-time SharePoint Admin. It’s now Tuesday afternoon. I’ve completed my workshops. We’re they great? YES! Would I recommend them? If you have a primary role with SharePoint in your organization (Site collection admin, executive, IT manager, SharePoint Admin, Information architect, communications, project manager) then yes, absolutely, these workshops are for you! Especially if you haven’t attended SharePoint Fest before or if it’s been a few years. Workshops are either partial day or full day. I happen to choose full day for both Monday and Tuesday. Day 1: Accelerate SharePoint Success: How to Best Plan, Manage and Control Migration Projects”. Speaker: Dux Raymond Sy. He says that technical white papers, blogs, tutorials, videos regarding the technical “how-to” do this and that in SharePoint are readily available so he wanted to provide us with something we can’t easily look up. So his approach? Provide you with useful tips, meaningful concepts and thought provoking ideas that will feed your SharePoint migration strategy. Day 2: Information Architecture 101: How to Structure and Organize an Awesome Intranet with Amazing User Experiences. Speaker: Susan Hanley. If there were a SharePoint list with a column titled Talent, I would value Susan as Wizard of Information Architecture. She is Beyond Best Practice. She effortlessly performs her ALL DAY workshop with barely a break, sharing all of her secrets (at least as much as she can within a limited amount of time). Unfortunately I had to leave about 30 min early to catch a ferry but she was still going strong when I left so I wouldn’t doubt it if she went on past 5 o’clock. I left both of these workshops with so much great content. I’m really looking forward to applying my newfound knowledge. Side topic: Wildfires. I have to mention how the wildfires are affecting Washington right now. There are wildfires in various areas of the US right now. This is typical in the summertime lately. The smoke from British Columbia is traveling down the Puget Sound and taking over our airspace. Elderly and children are urged to stay inside and many people are walking around with masks. This makes the walking from the ferry to the WA State Convention Center a slightly smoky experience. Check out this image from my ferry ride. And this wasn’t even the worst day. And a few days later when the smoke finally lifted! So today was day one of the main conference. I must confess I’m a little shocked at the low turnout. But then again I’m a tad spoiled. 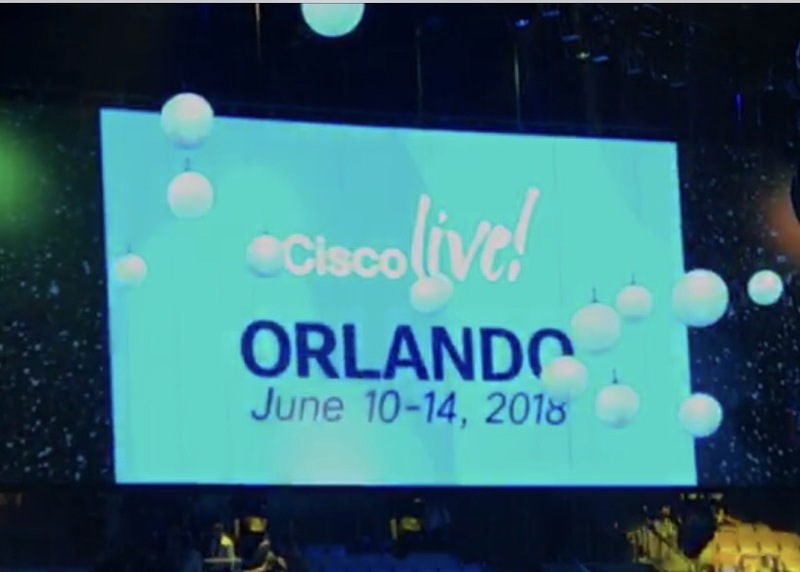 The last conference I attended was Cisco Live…. 30,000 attendees. I’m not sure what the attendee base is here today but I’m going to guess about a thousand. I counted roughly 800 seats in the Keynote this morning and there were many vacant seats. But not everyone goes to the Keynote so that’s why I guess a thousand. Update… looking back at this, I’m realizing why this isn’t a huge conference. It’s SharePoint, one product out of many that Microsoft produces. If I wanted a big conference like Cisco Live, then I would need to go to Microsoft Ignite which encompasses all Microsoft products. Now that I’ve reflected on this, the turnout is not that bad. The food was pretty good I think. This morning I had Beecher’s cheese frittata, sausage and fruit. Accompanied by the darkest, richest, Starbucks suitable for a day filled with training sessions. Ok, now that that’s aside. How was today? Good. Not as impeccable as the workshop days. But such great content. The keynote was good. I expected some music, I guess because several conferences I’ve been to have motivating music pumping into the room as people fill the seats. But not SharePoint Fest. Do they think don’t care about music? Can they not afford the music? Or maybe there are statistics that show music throws people off track and makes them less productive. Or maybe it’s too tough to come up with a compromising genre. Anywho, doesn’t matter. Dan Holme was great. He happened to lose all of the demo’s that he had been recording for the last several weeks but if he hadn’t told us this, we wouldn’t have known. His on the fly demo’s went without a hitch. He showed us how Teams is tightly integrated with SharePoint and that there are endless innovative ways you can collaborate with the two tools together. He also gave us a short demo of Microsoft Stream, which I hadn’t heard of until today. Stream is a video streaming platform that allows you to search within your video via it’s facial recognition and transcript features. Imagine you are watching an hour long video of a keynote and you want to find the spot in the video where Dan mentions Stream. Simply, search for the keyword Stream and it will give you a list of all the points in the video where he mentions Stream. Click on one to jump to that spot in the video. Sweet huh? Throughout his demo he explained how important employee engagement is and how it drives performance. Did you know that globally, employee engagement is 15%, but at the best performing companies 70% of employees are engaged and profits are 21% higher? Dan Holmes at the keynote enlightening us on how Teams and SharePoint are the perfect match. Enabling even your first line workers is really important. When he was describing this, it reminded me of a book I recently read called The Ice Cream Maker. It’s an inspiring story about “making quality the key ingredient in everything you do”. This book goes on and on about employee engagement. Great short read. I highly recommend it if you need some encouragement and inspiring ideas to get things moving in your workplace. Globally, employee engagement is 15%, but at the best performing companies 70% of employees are engaged and profits are 21% higher. My focus today was Content Management. Columns, content types, managed metadata and a partridge in a pear tree. The following days were a mixture of data protection, search, user adoption, and data management. I’m not going to go into the details of my sessions because that would not be very helpful to you. But I would like to share some of the resources that I got out of this conference. Following are some links to blogs, white papers and tools that I collected from the sessions and vendors. Oh wait, I forgot to mention the vendors! So as with any conference, there are vendors trying to sell you products. All SharePoint products are software-based. At first I was a little surprised that hardware vendors weren’t there trying to sell us servers and storage infrastructure to house our SharePoint servers but then I remembered… Microsoft is driving us towards an Online environment. Why would they invite hardware vendors? That would defeat their goal. Well thank you to the innovative software vendors that sponsored the event and made us realize that some of our dreams are achievable. In addition to all of the swag handed out during the Expo, after lunch on the last day the host drew names and handed out a bunch of prizes. Ranging from a 32-inch TV to fancy headphones to $100 gift cards and even a giant blow-up pretzel. I didn’t win anything but I got some flashlights and beach balls for my kids and a super soft (thank you Microsoft cloud) t-shirt for my husband. Oh and I got a super-soft SharePoint Fest t-shirt for myself for Tweeting about the event. Bonus! And props to the SPFest marketing team for getting the t-shirts right. As opposed to many of the giveaway t-shirts I’ve collected over the years that are stiff and tight necked. Will I go next year? Most likely. I learned a lot. And I’m sure I’ll learn even more over the next several months as I migrate our company from SharePoint 2010 to SharePoint 2016 which will in turn provoke more questions that SPFest 2019 can answer for me. I haven’t posted in some time… why? Life gets in the way sometimes so I guess I don’t really have a valid excuse. My husband and I have a toddler and a preschooler so life gets super busy with both of us working full time. But aside from that, I have a new job! I took off the many hats I wore as a Systems Administrator for 9 years but there’s one hat that remains. I am now exclusively, a SharePoint Administrator. There was a time several years ago that I longed to be one. But the opportunities always seemed to be in the big city (I want to avoid a long commute so I can be with my family) and require developer experience (which I do not have). A friend of mine called me one day. “Hey, do you have SharePoint experience?”… and next thing I know I’m sending him my resume so he can pass it along to the IT manager, getting a call for an interview and accepting the job. That was 10 months ago. Time passes way too quickly. I wasn’t sure if I would like having the responsibility of pretty much just one product but I was ready for a change. I was ready for a challenge… this role requires organization and a lot of collaboration with end users to determine their needs and then figure out how to fulfill those needs. So watch out, my blog is about to morph. 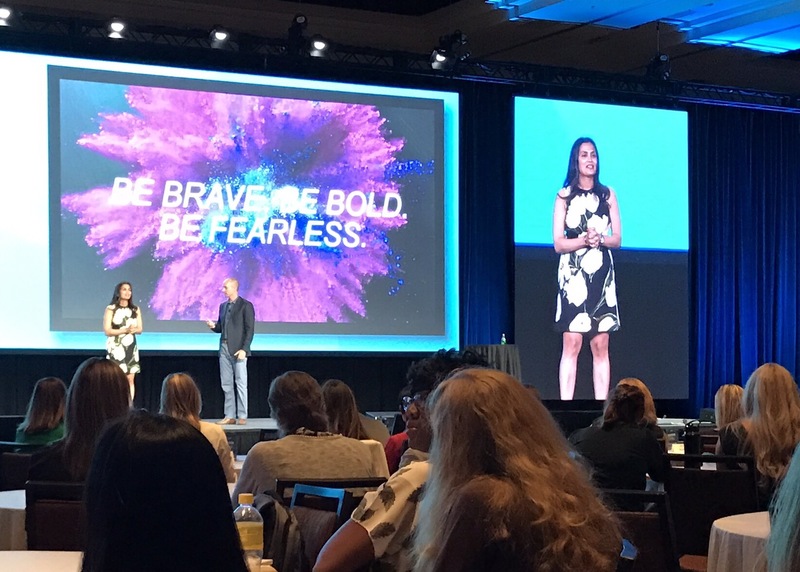 Cisco Empowered Women’s Network event at Cisco Live 2017. It was four hours filled with inspiration, motivation and networking. Kevin Bandy, Cisco’s Chief Digital Officer, was the host (yes a man hosted the event and he was great!). He says we should be cross pollinating our functions. He mentioned several times that he can’t believe we only do this once a year and that once a year is not enough! I agree. And I often wondered why there aren’t more CEWN events. He stated that last year there were roughly 300 attendees and this year we are up to 400. That’s a huge increase! Let’s follow that trend and get next years attendance over 500. Next I’ll tell you a little bit about each speaker. I’ll try to make this quick but there was so much good advice that I apologize if I start to ramble. 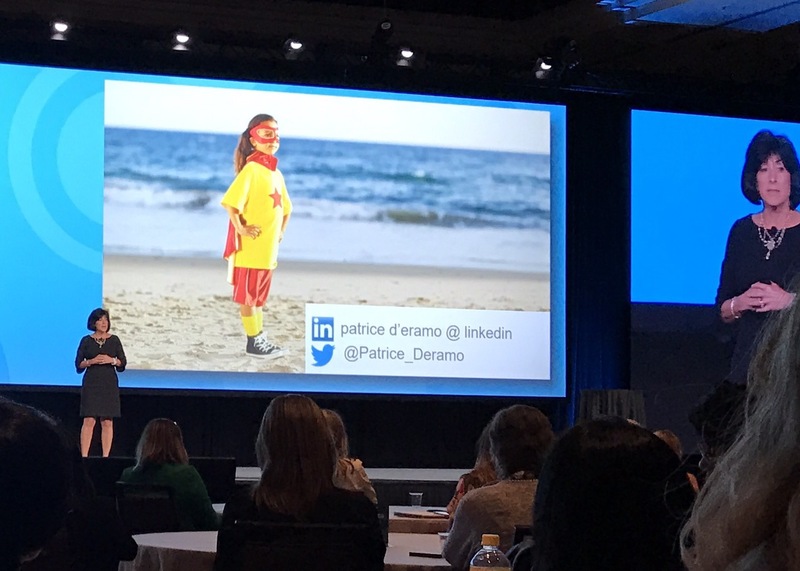 Patrice D’Eramo, VP, America’s Marketing at Cisco. She’s Italian, has a huge family, she’s got a pair of balls so to speak and says that “there’s a special place in hell for women who don’t support women”. She says that 23% of people with sponsors are more likely to move forward with their career. A sponsor is someone who’s willng to see the talent in you that you don’t see but also call you out when you’re wrong. She encourages you to act “as if”! Liz Centoni, Sr. VP and GM of Cisco’s Computing Systems Product Group. She had fears just like many of us but put those fears aside to get her where she is today. Her top five fears were Fear of being judged, Fear of change, Fear of failure, Fear of committment, and Fear of success. “Do one thing every day that scares you” – Eleanore Roosevelt. BE BRAVE, BE BOLD, BE FEARLESS. Christine Holloway, VP of networking, digital workspace and security solutions at CDW. One great tip she had was before a big meeting, stand in front of a mirror for 60 seconds. Breath in, stand tall and breath out. Get into your power pose and you’ll do exponentially better. We paused for a little intermission and the song that boomed from the overhead speakers was Diamonds by Rhianna. Gets you pumped up and ready to be bold, be brave and be fearless. Tania Katan, CEO of Creative Trespassing. She’s rediculously hilarious and so motivating. She finds creativity and sneaks it into unsuspecting places. She tells us to beta-test your life. And quotes Dr. Suess “Why fit in when you were made to stand out”. She had the whole room filled with laughter. She had us do a few exercises. We had to turn to the person next to us and talk about what our superhero powers are and how we use them. Then describe an area we feel we need to work on and the other person was to come up with an idea on how you can use your superpower to aid in that area. It was a great way to put yourself out there and in turn listen to and help a peer. 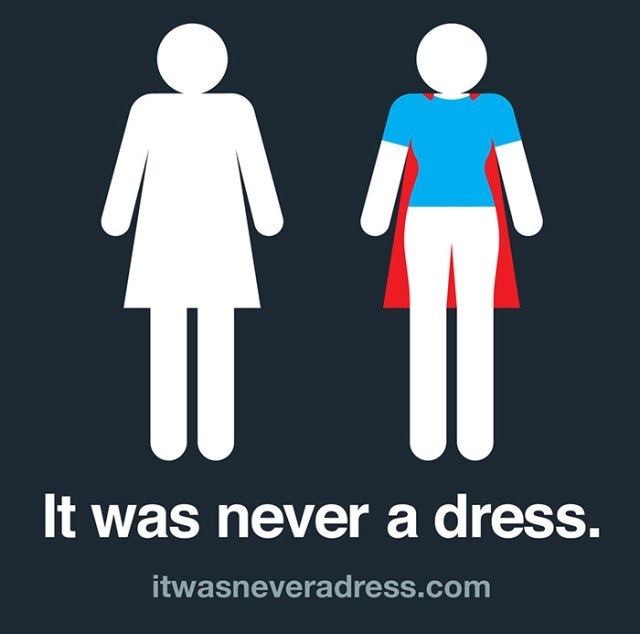 Tania helped Axosoft launch this campaign called It was never a dress. ❤ This campaign was to “start a much-needed conversation about the underrepresentation of women in the tech industry and the inequality that exists for women in many other spaces”. Oh and Shari Slate, VP Chief Inclusion and Collaboration Officer at Cisco. But as Kevin states, everyone in the office calls her Sunshine. She and Kevin chatted about some of the speakers points and she gave us guidance and said that both mentorship and sponsorship are needed. 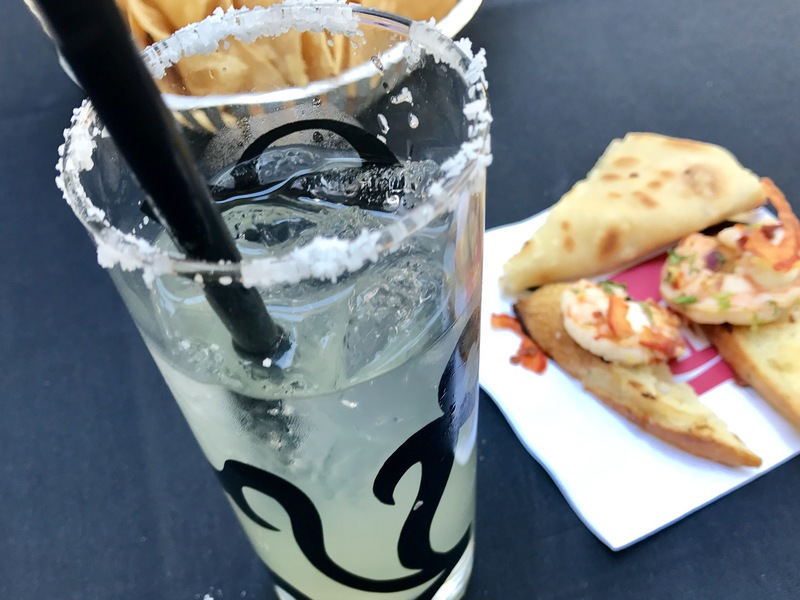 And afterwards was a cocktail hour at the Border Grill (delicious margaritas, sangria and south of the border appetizers) for networking with your newly found friends! If I am blessed with the opportunity to attend CLUS next year, then I will definitely go the CEWN event! 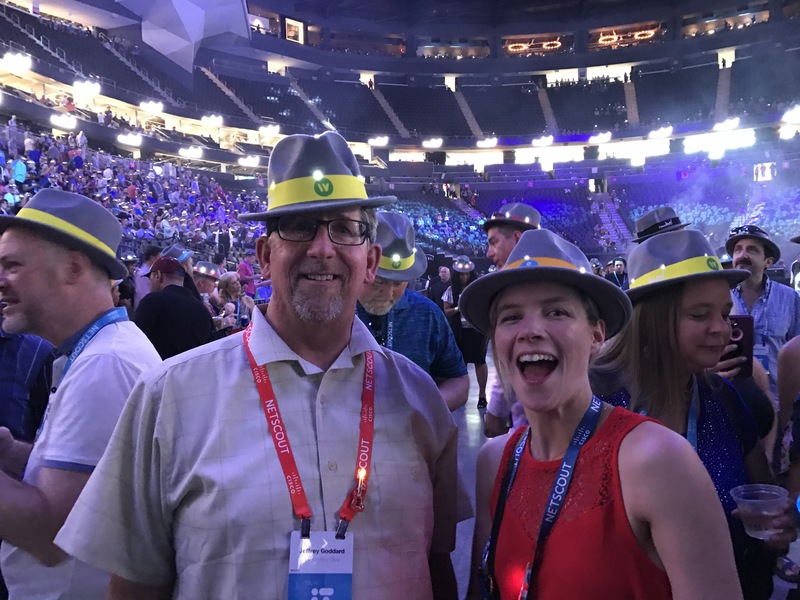 If you haven’t attended Cisco Live yet then you’ve got to figure out how to go next year. It’s a technical conference that you have to go to at least once in your lifetime. But the problem is, it’s like a Lay’s potato chip; you can’t stop at just one. I’ve been to two so far. But if I can never go again then so be it. Wait… what? why would I not ever go again??? Well, you need time, money, and the blessing from all of the bosses in your life. But if you’re smart enough to configure an SSL VPN on an ASA 5515 or code a widget in Finesse, then you can figure out how to save $$, budget time and butter up your bosses. So by all means GO already! This year’s USA conference was held in Las Vegas, NV. It was a blistering 100o Fahrenheit the whole time. But luckily there were so many sessions to attend, vendors to visit, engineers to talk to and peers to mingle with that you didn’t have time to go outside! My boss and I arrived mid-day Sunday and checked into the Delano (think Franklin Delano Roosevelt) which is on the Mandalay Bay property. I have a love for Vegas that began in my 20’s so when I walked into the hotel I took in a deep breath so I could discover its signature scent. Sound strange? Well there’s a science to it so I’m fascinated by it. And Delano? You had me at hello. 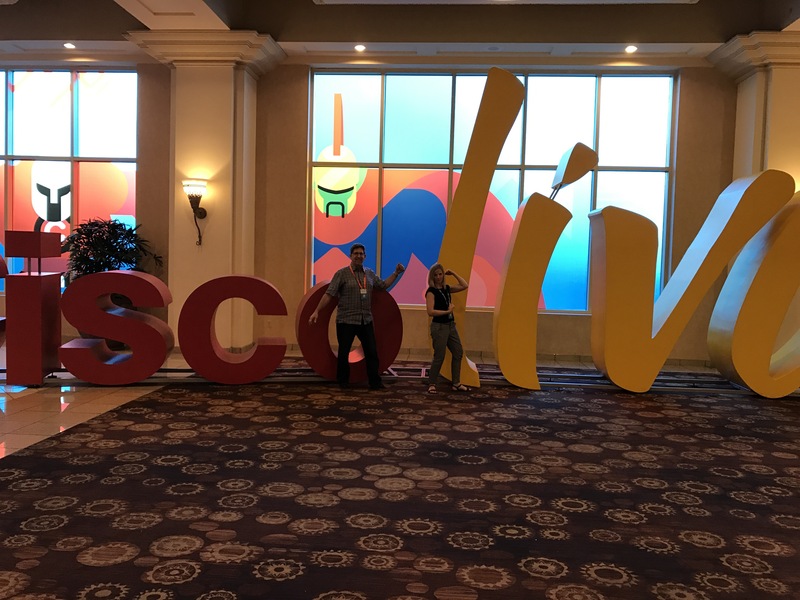 No trip to CLUS is complete without a picture with the infamous Cisco Live sign. We picked up our badges and our CL backpacks and I headed off to attend the CEWN (Cisco Empowered Women’s Network) event. It was four hours filled with inspriation, motivation and networking. Kevin Bandy, Cisco’s Chief Digital Officer, was the host (yes a man hosted the event and he was great!). He says we should be cross polinating our functions. He mentioned several times that he can’t believe we only do this once a year and that once a year is not enough! I agree. And I often wondered why there aren’t more CEWN events. He stated that last year there were roughly 300 attendees and this year we are up to 400. That’s a huge increase! Let’s follow that trend and get next years attendance over 500. I realized that this event left such an impression on me that I had to write a separate blog post just to cover it. They even provided a free professional headshot to those who wanted one. Then I was off to the CEWN cocktail/networking hour. I didn’t know anyone there so I just grabbed a margarita and walked up to a table out on the patio that looked inviting. The two ladies did not know eachother but the three of us (and later a fourth) were able to engage in conversation about our career and home towns. The next day was going to be a very full day so off to get a good night sleep after some dinner. Monday I had three sessions (sometimes 2 hours long), the opening keynote and World of Solutions on my agenda. My focus for sessions is around Collaboration and Security. Every speaker that I heard was so good. These people are not only smart but they know how to deliver a good session. And the opening keynote? Wow! As we waited patiently in our seats for the keynote to begin, the DJ kept us engaged by providing some entertainment (lip sync contests and dance off). 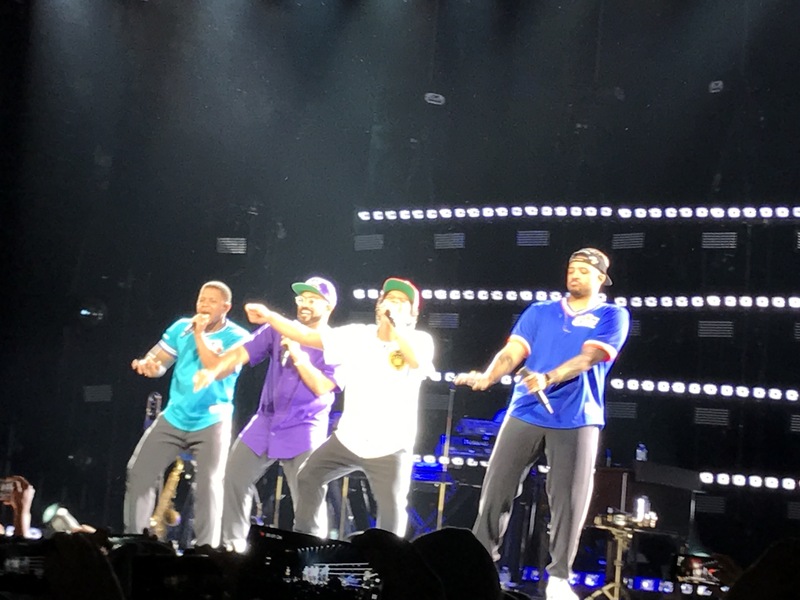 And as the keynote began, the lights dimmed and the room was pumped with what I can only decipher as a beat that was written specifically for Cisco Live. “Thunder, feel the thunder. Lightning and the thunder“. Blue and green orbs dropped from the ceiling and danced in unison with the music. George P. Johnson Experience Marketing contacted me a few weeks before Cisco Live to see if I would have time for a quick interview so I can only imagine that they were the ones responsible for putting this together. Here’s a link to the full keynote if you want to see some of the magic. As the music and light intro ended, Chuck Robbins took the stage. He emphasized that we are in a new era, explaining that the number of new machines added to the network exceeded the number of phones and tablets added to the network. Scale. Complexity. Security. He had two guests come on stage. First was Tim Cook, CEO of Apple. He was there to explain the partnership between Apple and Cisco. Apple is priding themselves in the security of their devices. Then later he brought on David Wichmann, CEO of UnitedHealth Group. He was there to explain the partnership between Optum and Cisco. He showed us a prototype of a system that would keep physicians, family, friends and the patients all on the same page. A way for the physician to present references and materials to the patient. A way for the patient to share appointment dates and diagnoses with family and friends. A way for family and friends to cheer on and keep tabs on their loved one. It looked pretty revolutionary. I tried to refrain myself from saying Um a billion times and I did ok but replaced my Um’s with lots of pauses! A little sceince behind why we say Um. Then I was off to find my boss to grab one of the boxed lunches at one of the lunch and learn tables. These tables are great and I highly recommend going to at least one when you’re at Cisco live. The table will have at least one expert on a specific subject and the rest of the table is filled with customers like yourself. It’s a nice casual way to have open discussions about challenges, tips, upcoming features and the like. The rest of my day was filled with more sessions and a trip to the World of Solutions for some good networking and of course who would want to miss Hoppy Hour. Hoppy hour is a networking opportunity sponsored by the vendors. Lots of yummy appetizers, beer and wine. We ran into our northwest territory Cisco representatives for some good conversation. These networking situations are such a great way to get to know your vendors and Cisco reps on a slightly more personal level. There are so many things around you in the WoS that spark conversation that it just flows out naturally. We had an invitation to an afterhours event hosted by Stealthwatch at the SkyFall Lounge at Mandalay Bay. As we walked in we received a Cisco branded Moscow Mule cup. The SkyFall lounge is a rooftop lounge with a nearly 360o view of the strip. It was mezmerizing watching the sun set and the city lights come to life. Oh and how could I forget… I’ve never seen a Loo with such a view! Yes that’s a toilet facing floor to ceiling windows with a view of Vegas. Cisco has a goal to positively impact 1 billion people by 2025. So at CLUS 2017 they had a couple of platforms of Kinetic tiles. Their goal was to gather 1 million steps from Cisco Live attendees, harness the energy and ship the batteries off to Nepal to donate to schools without electricity. Well by the end of the conference we had doubled their goal ending with over 2 million steps which equated to over 4 million joules of energy. It’s hard to describe the magnitude of the WoS (World of Solutions). It’s roughly a million square feet of activities, technology advancements and learning opportunities. Need a more resilient ethernet cable? Or someone to install it for you? Or maybe you have a complex call center and need a dashboard to help better manage your call flows. There were over 300 hundred vendors and they probably had what you were looking for! And even if you don’t think you need anything, you’ll most likely find something you either want or didn’t realize you needed. The World of Solutions is so much more than vendors though. There’s the Cisco Campus which showcases the latest in Cisco technologies and services. DevNet is where you can get hands on training for the development side of Cisco technologies. I wanted to attend a few sessions but they fill up fast so was only able to sit in on one of them. These people are smart! Do not skip this. You don’t have to be a developer (I’m not). Then there’s Meet the Expert where over 500 engineers are available to talk to attendees in depth about any challenges they might have. We scheduled a 1:1 with an expert and he resolved our problem in about 30 minutes! It would have taken us hours or days. There’s the Cisco Store where you can get the latest Cisco swag, Cisco Press books and even meet the author at a book signing. And there’s no short of lounge areas where you can plop down to rest or if you’re on-call during the event you can whip out your laptop to do some remote troubleshooting. Some of the fun things to do at the World of Solutions. 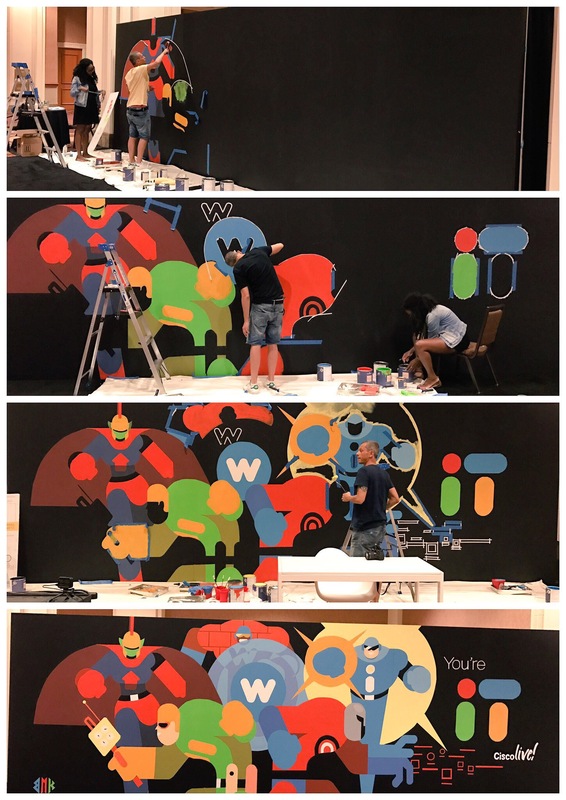 One of the first things that caught my eye when I stepped into the conference area at Mandalay Bay was this area where an artist was painting a superhero mural. As the days passed you could see the mural come to completion so I snapped a picture every day which made for a fun collage. 🙂 The artist was Bunka. Check out his final product below. More Cisco Live sign pics. It’s hard to avoid the urge! And then there’s the Customer Appreciation Event. 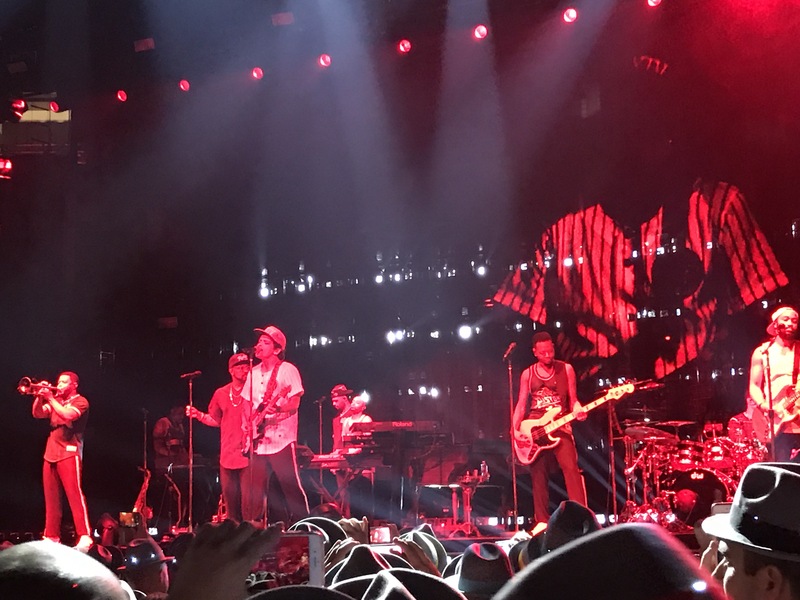 This time they hired none other than Bruno Mars! The CAE is the event where you pick up your infamous Cisco Live hat. This one was fun because it had lights on it with a button that changed the sequence. So the entire stadium was lit up with flashing hats. So fun. And Bruno… it’s really hard to describe how good he is. He was on stage for exactly 90 minutes. He often had his band dance across the stage with him. His voice was dreamy. He sang one song with no instruments (or maybe there were but I was so mesmerized that I didn’t notice any) and everyone was quiet and just started in awe. But most of the songs everyone was dancing! And luck us, on our way back to the hotel we stumbled on a great cover band in the Mandalay Bay casino that ended up playing a couple of Bruno Mars songs after some of the attendees threw their CL hats to them on stage. Oh and I almost forgot to mention the security keynote from earlier in the day. Cisco’s SVP, Chief Security and Trust Officer, John Stewart spoke about the utmost importance of security on the network. He brought on guest speaker, Theresa Payton, Former Whitehouse CIO and Cybersecurity Authority on CBS’s new TV program “Hunted”. She was great! And on the final day we attended the closing keynote which was a QA session between Chuck Robbins and Bryan Cranston (four time Emmy Award winner). He was hilarious!! And at the end of it all came the reveal of the location for next years conference. Orlando! And then later, Cisco social media tweeted the estimated lineup for the next five years. I say estimated because I found a lineup on an old blog and it was supposed to be at Vegas three years in a row but it did end up that way. So my boss just configured Expressway for MRA (Mobile and Remote Access). Wow, was that a feat! Kudos to him. Maybe he’ll be a guest blogger for me at some point to explain how he did it. After all was said and done we found that after some research that getting photos into Jabber mobile is not as simple as a checkbox. You must configure the jabber XML file to pull the photos from a web server. Here’s how we did it. First we watched two of Jaime Valencias awesome videos. 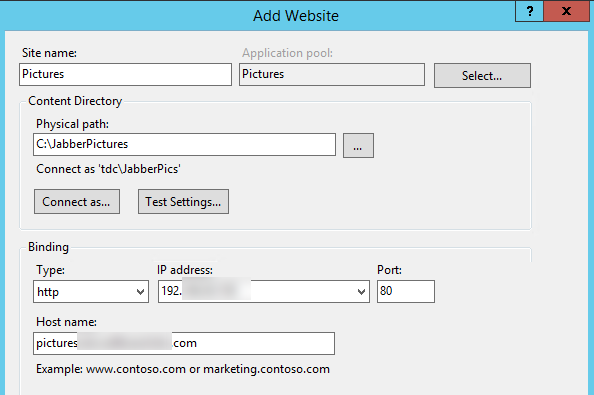 Created a directory on one of our existing Windows 2012 R2 servers running IIS. 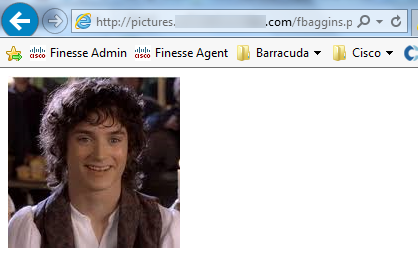 New directory name C:\JabberPictures and copied a couple of pictures to it for testing. Created domain user jabberpics (in Jaime’s video he used Administrator). 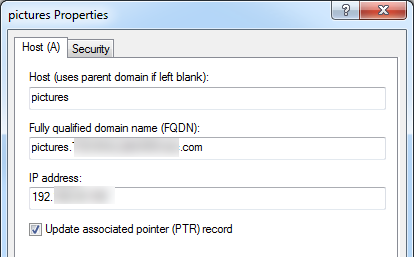 Created DNS record for the site. In IIS, I created a new Web Site named Pictures. Browsed to the URL of one of the pictures to see if it worked. Voila! So onto the next step of configuring CUCM and Expressway. In Expressway Core, we added a new Editable rule under Configuraiton > Unified Communications > HTTP Allow List named Jabber Contact Photos. The syntax is very specific. It took several tries and a Meet with the Engineer session (at Cisco Live) to get it right. We created a test jabber config XML file and added the highlighted string under the Directory section. And also changed the Directory Server Type from EDI to UDS if it’s not already UDS. TFTP’d the XML file to our CUCM server. You can find some tips on the Jabber config file from Cisco Shizzle. Restarted the Cisco Tftp service under Feature Services since it’s a new file. For testing, we added configurationfile=jabber-config_test.xml to the Cisco Support Field of my CSF device. I performed a Jabber Reset on my Jabber for Windows and also deleted the CSF folder located in %appdata%\Roaming\Cisco\Unified Communications\Jabber. I logged back into Jabber and noticed that all users photos were missing except for the few test photos I added to our web server. Wahoo! Last Minute Items Before Cisco Live! 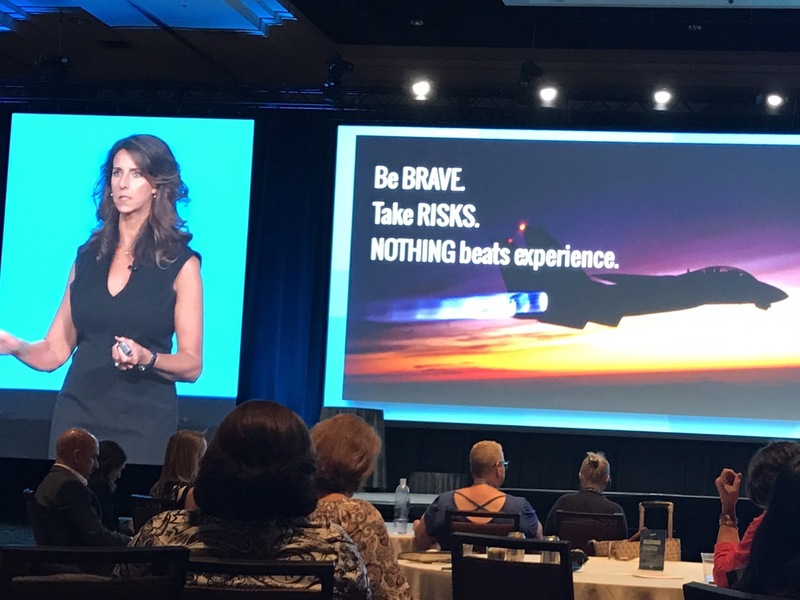 Read up on each of the speakers that will be presenting for CEWN (Cisco Empowered Women’s Network). I looked for video clips on each of them. I’m such a visual learner so I will feel more of a connection when I see them speak at the CEWN event. Like this 2 min video on Kevin Bandy where he shares what he loves about working at Cisco or this TEDx Talks with Tania Katan. Downloaded the Cisco Events app. You have done that already right? You’ll find great features like the ability to search for attendees, map your sessions, join in on the social contests, and take surveys. Downloaded the MGM Resorts app so I can have a super smooth check-in and check-out experience while I’m staying at the Delano. Check my emails for any special invites such as the one I received today for the The West Heroes at CiscoLive 2017 Spark room connection! 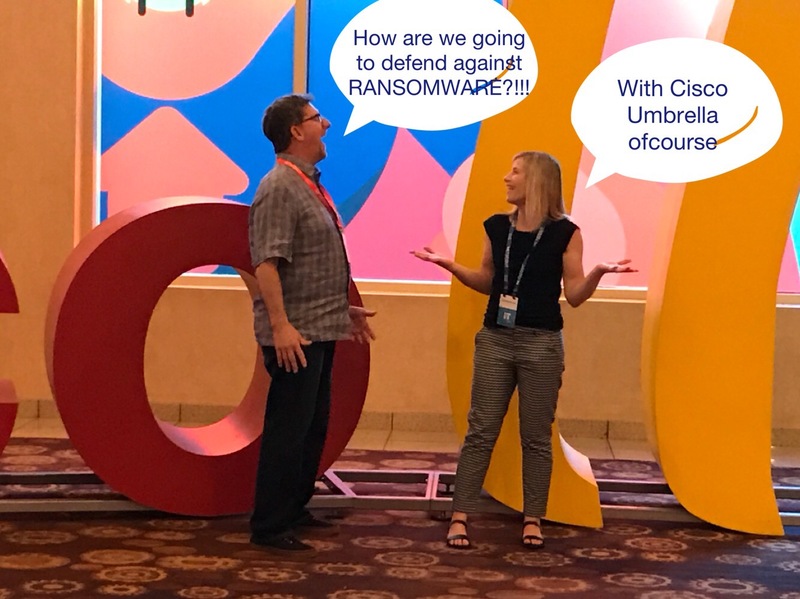 Check Twitter and LinkedIn for anything that CLUS is tagged in. I was cruising through the posts the other day and found out that ExtraHop is having a VIP event. 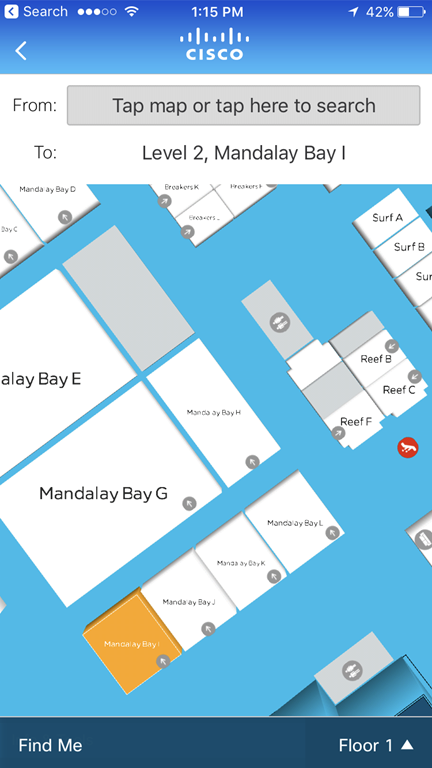 Map out which vendors I’d like to visit at the World of Solutions. Check the News Flash page on the Cisco live website for any new updates. Study for my exam (you know the exam voucher comes free with your fall conference pass right?). Pick out my outfit for the Bruno Mars concert. What what!